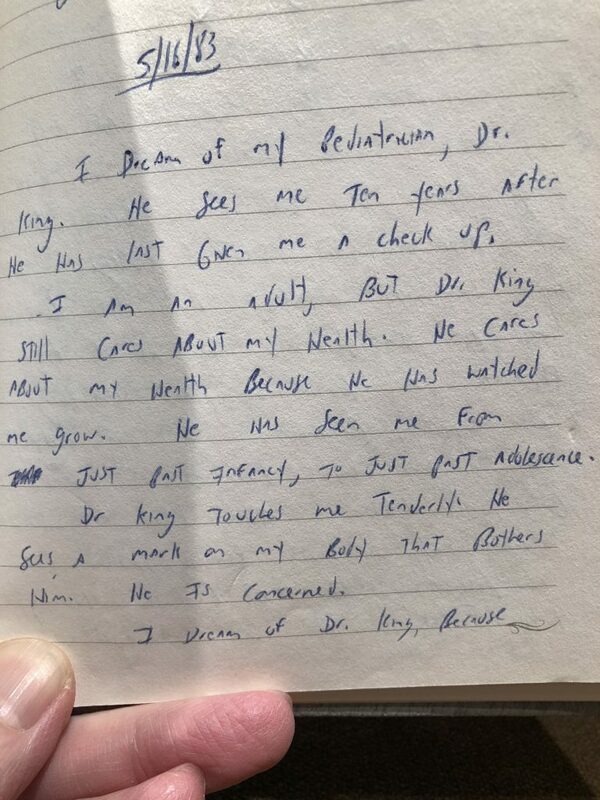 I dream of my pediatrician, Dr. King. He sees me ten years after he has last given me a checkup. I am an adult, but Dr. King still cares about my health. He cares about my health because he has watched me grow. He has seen me from just past infancy, to just past adolescence. Dr. King touches me tenderly. He sees a mark on my body that bothers him. I dream of Dr. King because I want to be just like him. I want to be a physician, but I also want to be a kid. Dr. King knows of my struggle. He knows of my existence. Dr. King is a doctor who cares.